MIAMI – FLA. As part of the international development of Ligue 1, the FC Miami City is delighted to announce it has renewed its strategic partnership with the French Professional Football League (LFP) for a further three years. Begun in 2015, this agreement allows the LFP to continue promoting Ligue 1 among the US Youth Soccer. 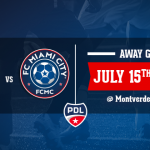 As part of this partnership, FC Miami City can more easily send talented players from its youth academy, or its first adult team, to continue their training and gain valuable experience in France. 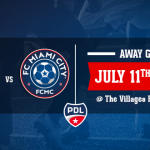 The FC Miami City first team plays in the national USL/PDL championship, known for providing many promising players to MLS clubs. 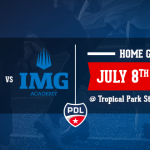 The FC Miami City is the Ligue 1’s Official Soccer Academy in Florida. « We are very pleased of this new strategic partnership with the French Football League (LFP). This new agreement will enable us to promote French soccer, to accelerate our growth and, most importantly, continue to build a solid bridge between French and US soccer. Our aim is to send our best players to Europe (and France in particular) but to also bring on the best French players to Florida and expose them to the American championships. » said Ravy Truchot, FC Miami City’s President. According to Mathieu Ficot, Director of Economic Development of France’s Ligue de Football Professionnel (LFP): « We are very proud of our work with FC Miami City. This partnership allows us to connect French football with soccer in the United States, a country that boasts more than four million registered players. This is a win-win partnership both from a sporting and marketing perspective. ».